The first release of 2019 is here! Today marks the release of PowerCLI 11.2.0 and it is an exciting one. PowerCLI now has 21 modules, to ensure you can automate roughly any VMware product. We’re adding new, and more secure, methods to authenticate. There are also improvements to existing cmdlets so you can use the latest and greatest technologies alongside the newest APIs available. Let’s take a look at some of the updates. VMware HCX is an amazing option that breathes new life into the term Hybrid Cloud. To give a quick overview, think of VMware HCX as a swiss army knife – a single tool with multiple options to move your workloads in and out of the cloud. Schedule migrations with HCX vMotion, take advantage of replication assisted vMotion for bulk migrations and even VMs with larger footprints, or protect your data with the available disaster recovery options. HCX is a powerful tool to easily manage the location of your workloads, and PowerCLI now offers 20 cmdlets to help automate its management. NSX-T gives administrators the ability to abstract the management of the applied networking, security, and even availability into what’s known as policies. These policies greatly simplify the management experience. Making it even simpler, with the new Get-NsxtPolicyService cmdlet, we can now use PowerCLI to automate these policies with direct connectivity to the API. This cmdlet is also compatible with the newly announced NSX-T 2.4! The new policy service cmdlet is great, but that isn’t the only update for NSX-T PowerCLI 11.2.0 comes with. There’s also new support for opaque networks in some of the cmdlets we already know and love. The cmdlets updated to support opaque networks are: Set-NetworkAdapter and Import-VApp. Security is always an important topic, especially when it comes to automation. As part of VMware Cloud on AWS, there has been an update to expand into GovCloud. In order to participate in GovCloud, the service has to adhere to a more stringent set of security and privacy controls. The control that will be the most noticeable for PowerCLI users will be around authentication. Therefore, we have added two new cmdlets and updated an existing cmdlet to support OAuth2. For the VMC module, we have a new cmdlet, named New-VcsOAuthSecurityContext, which will produce an OAuth security context based off our VMware Cloud on AWS refresh token. For the Core module, there’s a new cmdlet, named New-VISamlSecurityContext, which will take the OAuth security context and translate it to a SAML2 security context. That SAML2 security context can then be used with the updated cmdlet, Connect-VIServer, to authenticate to the vCenter. $oauthCtx = New-VcsOAuthSecurityContext -ApiToken "xxxxxxx-xxxx-xxxx-xxxx-xxxxxxxxxxxx"
It’s worth noting, at this point in time, this functionality is reserved only for GovCloud instances of VMware Cloud on AWS deployed SDDCs. Last, but certainly not least, the Storage module has a number of updates. The Get-VsanSpaceUsage cmdlet has a new parameter which allows us to return results for a specific storage policy. There has been quite a few new parameters added to the Set-VsanClusterConfiguration cmdlet, which includes: CustomizedSwapObjectEnabled, GuestTrimUnmap, LargeClusterSupported, ObjectRepairTimerMinutes and SiteReadLocalityEnabled. Another updated cmdlet is Test-VsanNetworkPerformance, which now has a DurationInSecond parameter so we can control how long the performance test actually lasts. For more information about the updates to the Storage module, see the following post by my colleague Jase McCarty: PowerCLI 11.2 Released, with more goodness for vSAN! The first PowerCLI release of 2019 has some significant improvements. PowerCLI 11.2.0 introduces OAuth2 support and the ability to access the new NSX-T Policy APIs, plus an entirely new module containing 40 cmdlets to manage HCX! For more information on changes made in VMware PowerCLI 11.2.0, including improvements, security enhancements, and deprecated features, see the VMware PowerCLI Change Log. 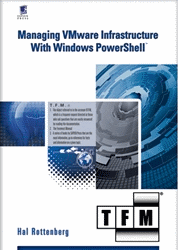 For more information on specific product features, see the VMware PowerCLI 11.2.0 User’s Guide. 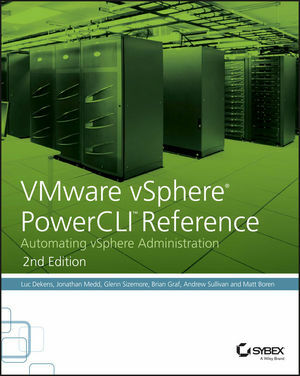 For more information on specific cmdlets, see the VMware PowerCLI 11.2.0 Cmdlet Reference. Remember, updating your PowerCLI modules is now as easy as ‘Update-Module VMware.PowerCLI’. Let us know in the comments what you’re most excited about! This entry was posted in General and tagged PowerCLI, What's New on February 28, 2019 by Kyle Ruddy. Can I download a command reference in PDF format?